Republican presidential candidate Mike Huckabee/sad-eyed Pound Puppy would like to clarify that he does not support or defend his friend Josh Duggar when it comes to his history of child molestation, nor has he ever supported or defended Josh Duggar in regards to the sexual abuse he committed against his sisters. Huh, is he sure about that? “I really didn’t support Josh. I supported his parents, if you’ll go back and look at what I said. There’s no support for what he did...I think in subsequent months, as more things came out, what he did was despicable, it was dishonest. He did some things that totally defy everything he supposedly stood for. But he certainly defied what his parents not only have stood for, but continue to. So my support was for his sisters, who were the real victims, I felt like they were being exploited by the media. The media didn’t care what was happening to them and the emotional trauma they were going through. At the time, Huckabee suggested that Josh Duggar’s behavior was a result of the immature judgment of a minor. Oh, that’s right! 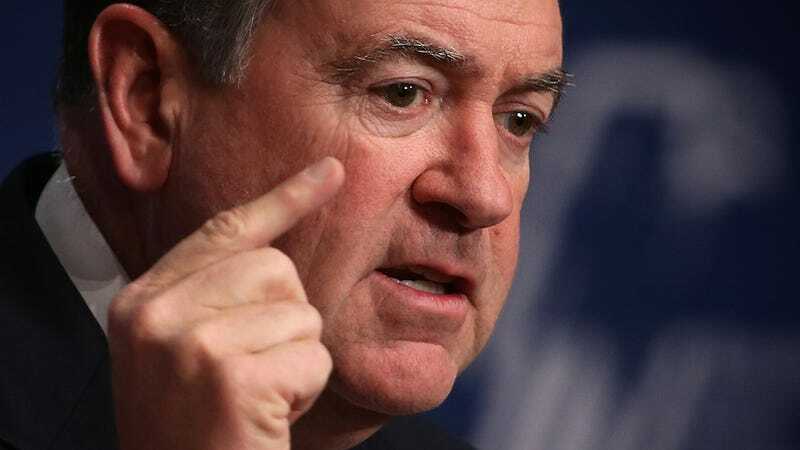 Mike Huckabee wrote a very public (and publicized) statement defending Duggar’s abusive behavior as a childhood indiscretion! A statement that is easily searchable and still posted to his official Facebook page in May of this year! I guess this presents a new question for the former Arkansas governor: Does he think the rest of us are as dumb and forgetful as he is?